Gov. Mark Dayton sees the state law requiring 50-foot grassy buffer strips along most Minnesota water bodies as part of his environmental legacy. To Rollie Norton, though, it amounts to a government-mandated toothache. "It's totally wrong for the state of Minnesota to demand that a 50-foot buffer be in place," said Norton. He and other farmers continue to question the state's new public water buffer strip requirement as a November deadline approaches. Many say it's an unfair. Some state legislators are pushing for repeal. While Dayton has backed off on some parts of the plan, there's no indication he plans to retreat from the law, setting the stage for problems later this year. 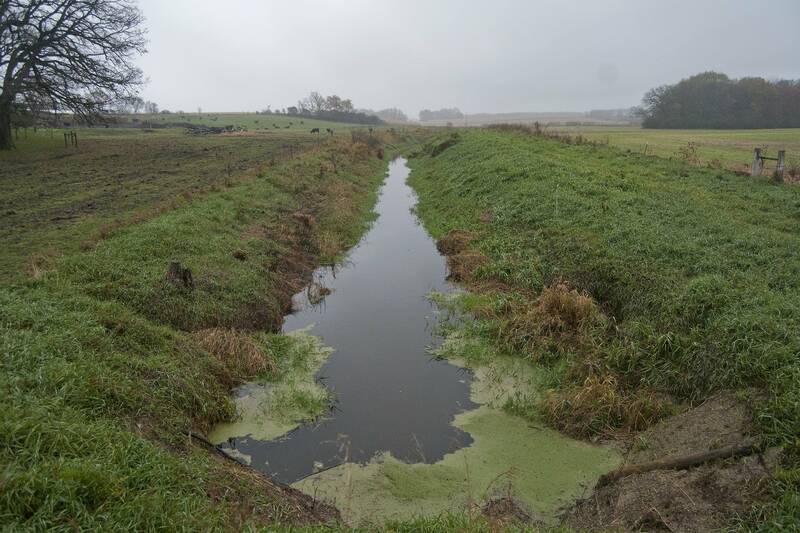 The intent of the buffer requirement is to create natural filters that trap soil and chemical pollutants in farm field runoff and prevent them from reaching rivers and lakes. Norton said he agrees with the goal, but bristles at the current plan. For Norton, the program is an example of big government taking money out of his pocket and dictating what he can do with his property. The ditch on his land is classified by the state of Minnesota as public water, which means he must bring the buffer out to 50 feet. Norton's ditch was included among the state's public waters in a process that dates back more than 30 years. 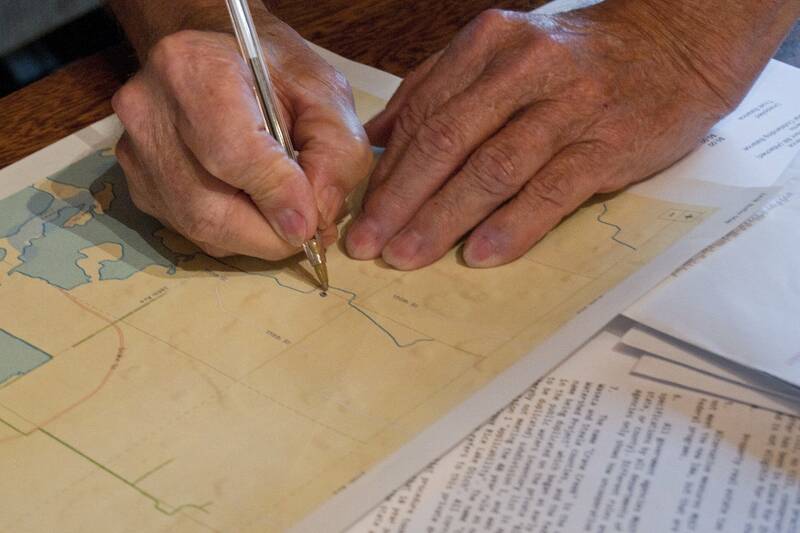 In the 1980s state officials inventoried all water bodies in Minnesota. Some drainage ditches were classified as public waters, others were not. Back then, the designation was basically meaningless, but not now all ditches on the public waters list are required to have 50 foot buffers. 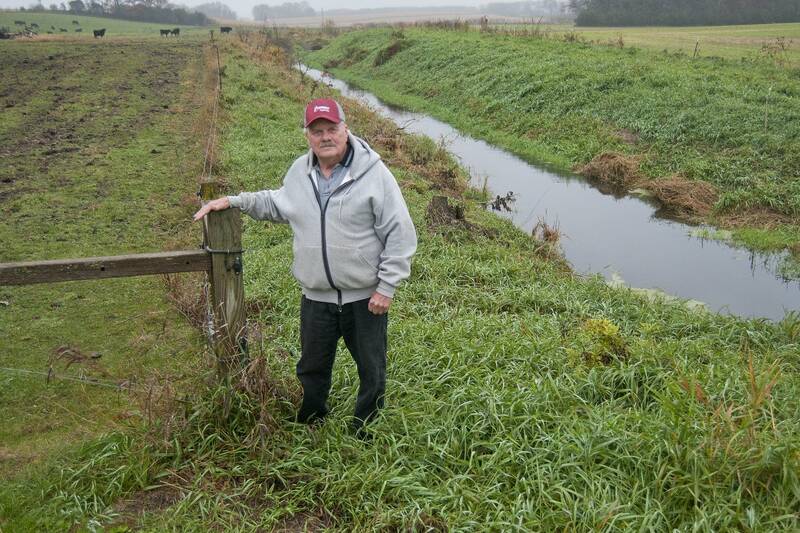 Norton, who wants his ditch removed from the public waters rolls, said the Minnesota Department of Natural Resources did little to inform farmers that the inventory process was taking place. The DNR, however, says records show public notices were printed in newspapers as required. DNR assistant regional manager Jim Sehl also dismisses Norton's assertion that his ditch is wrongly included on the buffers list. Sehl acknowledges the analysis isn't bulletproof and that verifying the accuracy of 1980s decisions is a problem. In some cases, he's been unable to locate certain maps, notes or other items. Still, he said the DNR has no intention of redoing the public waters inventory process. About the only way a farmer can get a ditch removed from the inventory is to prove it was included because of a factual error, say the wrong size drainage area, he added. 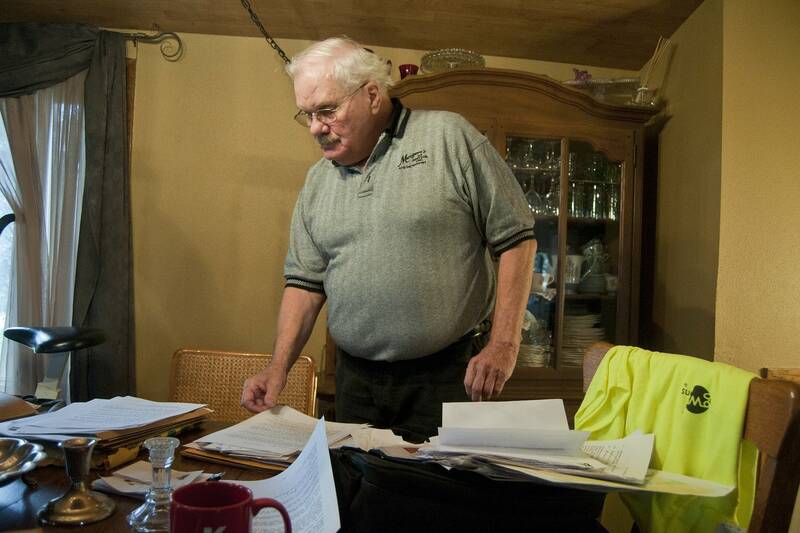 Dayton has been battling farmers on the issue for about two years. At an April 2015 meeting in Worthington, Minn., the governor pushed back against farmer assertions that his buffer strip ideas were unworkable and too costly. Dayton cited a Minnesota Pollution Control Agency report showing that most of the lakes and streams in the southwest part of the state are not fit for swimming or fishing. "The fact is that our water in this area is unsafe — for wildlife, for fish and for humans," Dayton told the farmers then. "We don't want to drive anybody out of business. We're not trying to bring big government's foot down on anybody's head. We're just trying to solve a problem here." The law carries some financial penalties for land owners who don't comply. Dayton's proposed financial help for farmers installing buffers, and officials say landowners may be able substitute other proven water cleaning methods. A Dayton spokesperson said the governor is open to making improvements to the law but would veto any attempt to repeal it. Farmers unhappy with the buffer law also have an ally with a lot of stature within Dayton's party. "It's got a lot of problems," said Minnesota 7th District U.S. Rep. Collin Peterson. Farmers have legitimate concerns, including the lack of compensation for taking land out of production, he added. "I don't see this as workable without some significant changes." Peterson said he's told Dayton about his concerns several times, including while hunting with Dayton at the pheasant opener, but didn't get a lot of feedback. He characterized Dayton's response as acknowledging concerns, but the governor argued that they can be worked through. The Minnesota Legislature, however, is now firmly in control of Republicans, who this week took aim at the buffer strip plan. State Rep. Steve Green, R-Fosston, was the chief sponsor of a bill this week that would repeal the buffer strip law. He said he thinks the law amounts to government confiscation of private land and that negotiations that led to the passage of the buffer measure in 2015 were too rushed. "If this is the way you're going to act, and you still don't have any proof that these 50-foot buffers are going to give you the results that you want," he said, "let's go back to the drawing board on this."